Delhi, Andaman & Nicobar Islands, Lakshadweep, Daman & Diu and Dadra & Nagar Haveli Service, Group 'B'. The Preliminary Examination will consist of two papers of Objective type (multiple choice questions) and carry a maximum of 400 marks. This examination is meant to serve as a screening test only; the marks obtained in the Preliminary Examination by the candidates who are declared qualified for admission to the Main Examination will not be counted for determining their final order of merit. Note: There will be negative marking for incorrect answers (as detailed below) for all questions except some of the questions where the negative marking will be inbuilt in the form of different marks being awarded to the most appropriate and not so appropriate answer for such questions. The Main Examination will consist of written examination and an interview test. The written examination will consist of 9 papers of conventional essay type in the subjects which are mentioned further below. Candidates who obtain such minimum qualifying marks in the written part of the Main Examination as may be fixed by the Commission at their discretion shall be summoned by them for an interview for a Personality Test. The interview will carry 275 marks (with no minimum qualifying marks). Both the question papers will be of the objective type (multiple choice questions) and each will be of two hours duration. The main Examination is intended to assess the overall intellectual traits and depth of understanding of candidates rather than merely the range of their information and memory. The nature and standard of questions in the General Studies papers (Paper II to Paper V) will be such that a well-educated person will be able to answer them without any specialized study. 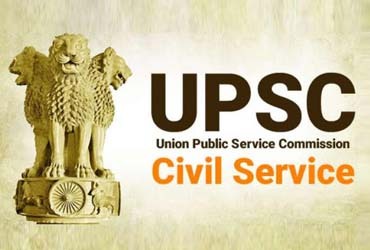 The questions will be such as to test a candidate’s general awareness of a variety of subjects, which will have relevance for a career in Civil Services. The questions are likely to test the candidate’s basic understanding of all relevant issues, and ability to analyze, and take a view on conflicting socio-economic goals, objectives and demands. The candidates must give relevant, meaningful and succinct answers. The scope of the syllabus for optional subject papers (Paper VI and Paper VII) for the examination is broadly of the honors degree level i.e. a level higher than the bachelors’ degree and lower than the masters’ degree. In the case of Engineering, Medical Science and law, the level corresponds to the bachelors’ degree. The Freedom Struggle— its various stages and important contributors/contributions from different parts of the country. Industries in various parts of the world (including India). Departments of the Government; pressure groups and formal/informal associations and their role in the Polity. Development processes and the development industry —the role of NGOs, SHGs, various groups and associations, donors, charities, institutional and other stakeholders. Major crops-cropping patterns in various parts of the country, - different types of irrigation and irrigation systems storage, transport and marketing of agricultural produce and issues and related constraints; e-technology in the aid of farmers. Food processing and related industries in India- scope’ and significance, location, upstream and downstream requirements, supply chain management. Security challenges and their management in border areas - linkages of organized crime with terrorism. Ethics and Human Interface: Essence, determinants and consequences of Ethics in-human actions; dimensions of ethics; ethics - in private and public relationships. Human Values - lessons from the lives and teachings of great leaders, reformers and administrators; role of family society and educational institutions in inculcating values. Utilization of public funds, challenges of corruption. (1) For the Indian Administrative Service, the Indian Foreign Service and the Indian Police Service, a candidate must be a citizen of India. (a) A candidate must have attained the age of 21 years and must not have attained the age of 32 years on the 1st of August, 2019. Upper age limit is fixed different for different categories, which is as given below.